Sometimes it's useful to be able to measure related parameters like pH and Chlorine or Iron and Manganese using the one meter. 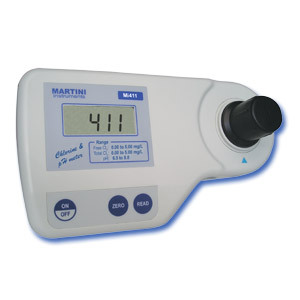 These photometers are designed for in field use. 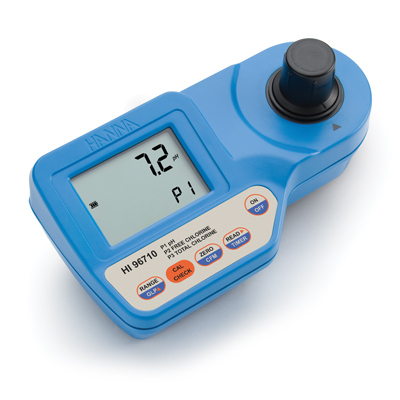 A number of Multiparameter meters are available for commonly measured parameters. 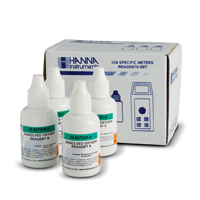 Reagent kit for free chlorine for the Chlorine and pH photometer HI96710. Contains 100 tests. 100 tests each for pH, F and T chlorine.